Your starter for a hundred classic reggae albums, this is arguably the first and definitive volume of the ever fine Soul Jazz series. Grouping together fourteen central documents at the very foundation of reggae music and dub - from the prototype Lee Perry funk of popcorn, the Pete Rock snap and break of Greedy G - all time classic rarities like Cedric Brooks give rasta glory, ending appropriately enough with drum song, whether you've heard these tunes once or a thousand times - they never lose their indelible magic. This is one of the most important reggae collections out there, so if you're looking to a way into a summer sound, or just simply the perfect party record then look no further, the party starts here. 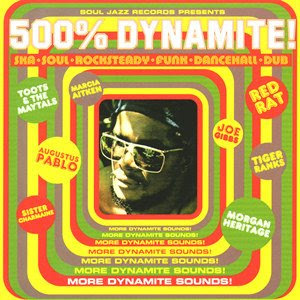 Soul Jazz Records Presents - 500% Dynamite! 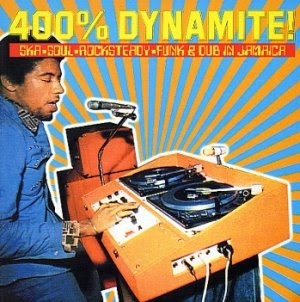 Soul Jazz Records Presents - 400% Dynamite! 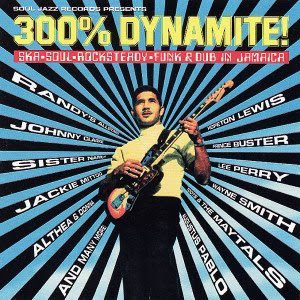 Soul Jazz Records Presents - 300% Dynamite! 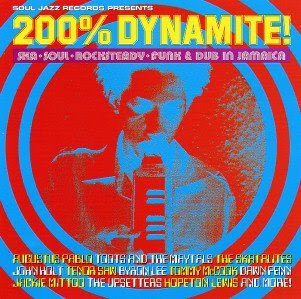 Soul Jazz Records Presents - 200% Dynamite! 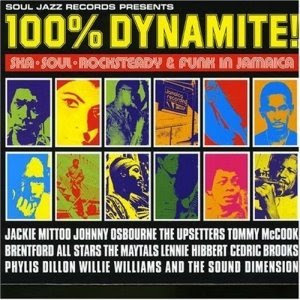 Soul Jazz Records Presents - 100% Dynamite!